We have been active in the UK waste market since 2003, assisting firms through the PFI/PPP procurement process, as well as helping developers seeking funding for merchant facilities. During this time, we have worked with many of the industry’s leading firms, including companies such as Veolia, Biffa, Shanks, Wheelabrator and Neales Waste Management, as well as leading investors of risk capital such as John Laing, Equitix and Iona Capital. We have also advised on projects featuring a wide range of technologies, ranging from conventional waste to energy generation through to anaerobic digestion and biomass as well as advanced thermal treatment (both gasification and pyrolysis). Our strong underlying knowledge of this sector means we know how to structure fundable transactions, as well as understand what is achievable both commercially (e.g. feedstock supply and offtake agreements) and financially (e.g. debt sizing mechanics and base case funding assumptions). 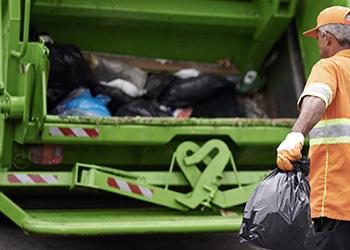 As the most complex area within the PFI/PPP marketplace, the waste sector perhaps offers the greatest opportunity for us to add value to a client’s bid. We achieve this by working closely with our clients at the outset of the process, obtaining a clear understanding of the project, and quantifying the impact of different technical solutions on price, performance and overall value for money. We then run different scenarios to demonstrate how oversizing waste facilities can help reduce public sector gate fees due to subsidisation, while bearing in mind funders’ sensitivity to both the level of non-contracted waste and expected revenues. In addition to performing a detailed financial analysis, we also negotiate key areas of documentation on behalf of our clients, such as the payment mechanism and termination provisions. All the time making sure to balance their aims with that of the public sector and the requirements of senior lenders. We have worked on a significant number of projects since 2003, reaching financial close on five PFI/PPP waste transactions – three as adviser to the sponsor and two as adviser to an equity investor. We are currently advising the preferred bidder on a sixth procurement. Assess the financial impact of contract change requests. Determine the viability of refinancing projects. Develop operational models to track/report performance. 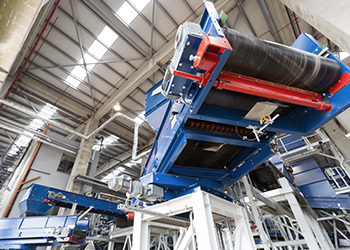 Our experience in the merchant waste sector ranges from working with small developers looking to raise capital for one-off AD or biomass projects, all the way through to industry leaders seeking investment for large scale energy-from-waste plants. Thanks to our in-depth knowledge of this sector, we understand funder appetite for project size and technology used. We also appreciate the fundamental requirements that ensure a bankable structure such as feedstock arrangements, offtake agreements and EPC support packages. As experts in this specialised field, we are also able to source equity partners for projects where external investment is required.